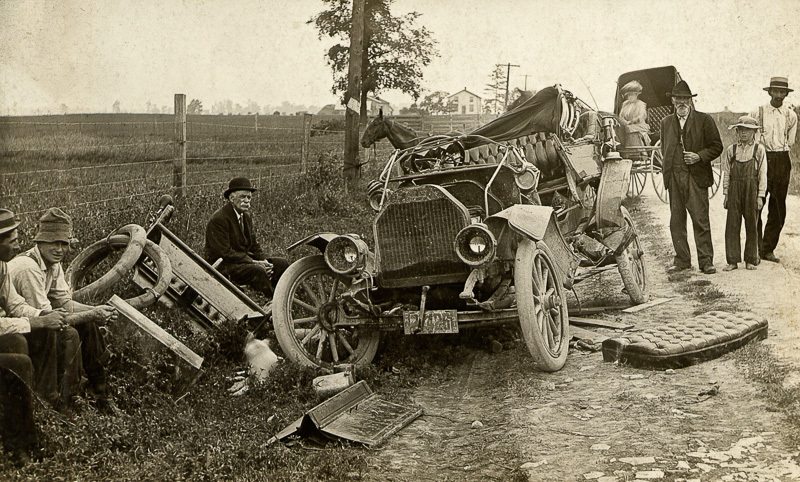 Someone in 1912 Ohio is having a bad day. I can’t identify anyone in this photo; I just thought it was interesting. It was in the collection of photos that came to me through my mother and my grandmother. I don’t know whether this actually involved the Patterson family somehow, or if my great grandfather just came across this scene and took a picture. Judging by the sheer number of photos I have from that era, he must have been an avid photographer!